Expanding surveillance and government interference in reporting along with harassment led to a deterioration in 2018 of the work environment of foreign journalists in China, a survey revealed on Tuesday. The Foreign Correspondents' Club of China (FCCC) published the report titled "Under Watch: Reporting in China's Surveillance State" about the experiences of foreign journalists in China last year in which the "results painted the darkest picture of reporting conditions inside China in recent memory", Efe news reported. In the survey, 55 per cent of journalists said that reporting conditions worsened in 2018 -- the highest figure since 2011 -- and not a single journalist believed that the conditions improved in the last year. Surveillance was also one of the major concerns as 48 per cent of the respondents reported being followed or their hotel room being entered without permission while in the field. Moreover, 91 per cent were worried about the security of their phones and 22 per cent said that they were aware of being tracked by the authorities "using public surveillance systems". "The wider monitoring and pressure on sources stop journalists even before they can reach the news site," said FCCC President Hanna Sahlberg. Asked to comment on the report, Chinese Foreign Ministry spokesperson Geng Shuang called these "groundless accusations" and added that the report did not represent the views of the foreign correspondents in China. Geng said that foreign correspondents could contact the ministry any time if they face any problems or difficulties in the country. "This interaction would be better than issuing such kind of report full of attacks," said Geng. In Xinjiang region, where nearly 1 million Muslims were detained in "re-education" camps, 24 out of 27 journalists said they had experienced "interference", with 19 of them forced to delete data. Six journalists had visa renewal difficulties while BuzzFeed News bureau chief Megha Rajagopalan's visa was not extended and Australian Broadcasting Corporation correspondent Matthew Carney received one for just two-and-a-half months, forcing him to leave the country. Both had worked in Xinjiang. "There is a risk that even foreign media will shy away from stories that are perceived as too troublesome, or costly, to tell in China. 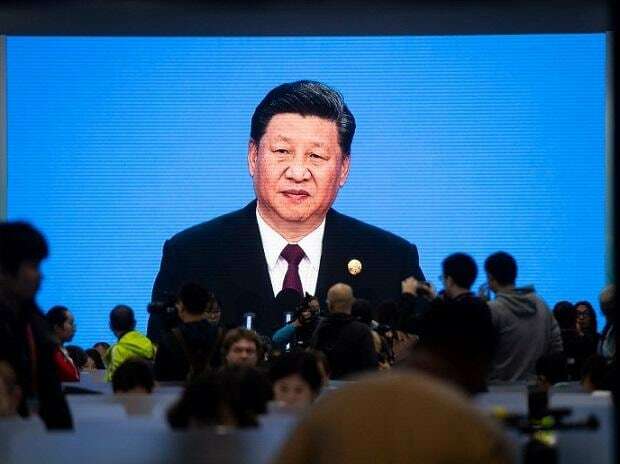 These trends run contrary to the FCCC's hopes for real openness for foreign media to be able to cover China," said the association President Sahlberg. The report added that pressure on Chinese national news assistants and sources intensified in 2018. Of the respondents, 37 per cent said their Chinese colleagues were pressured, harassed or intimidated, while 34 per cent said sources had been harassed, detained or called in for questioning.